New certification, titled Human Animal Bond Certified, is for practicing veterinarians, veterinary nurses and veterinary practice managers. "This certification will help veterinarians, veterinary nurses and practice managers understand the science of the human-animal bond, using that knowledge to strengthen client relationships, improve animal care and boost practice wellness," said Steven Feldman, HABRI Executive Director. The Human Animal Bond Research Institute (HABRI) and the North American Veterinary Community (NAVC) today launched a new certification course for practicing veterinarians, veterinary nurses and veterinary practice managers - Human Animal Bond Certified. Through a series of online modules assembled by experts in the field of human-animal interaction science, veterinarians, veterinary nurses and veterinary practice managers can now develop a formal understanding of the research demonstrating the health benefits of pet ownership and human-animal interaction, and learn how best to use that knowledge in the practice of veterinary medicine. "Human Animal Bond Certified will become the new gold standard for veterinarians looking to engage their clients in a meaningful and effective way," said Tom Bohn, CEO of NAVC. "Through an easy online interface that can be completed at an individualized pace, the Certification will support every aspect of a veterinary practice, from better client dialogue and compliance to improved financial performance." "NAVC is a great partner for HABRI, combining human-animal bond science with an unparalleled educational experience for participants in the course," said Steven Feldman, HABRI Executive Director. "This certification will help veterinarians, veterinary nurses and practice managers understand the science of the human-animal bond, using that knowledge to strengthen client relationships, improve animal care and boost practice wellness." "With 98% of pet parents considering their pets to be important members of the family, becoming Human Animal Bond Certified will give veterinarians the tools they need to safeguard these relationships," added Bohn. To assemble the course material, HABRI and the NAVC convened a group of highly-qualified veterinarians, researchers and academics, many of whom have helped advance our understanding of just how much pets improve our health and well-being through their own research. The American Veterinary Medical Association (AVMA) was a key contributor, serving as a Founding Educational Partner for the certification. HABRI co-founders Zoetis and Petco are Premier Sponsors for the Human-Animal Bond Certification course, along with PetSmart Charities, reflecting their longstanding commitment to scientific research and education on the healing power of the human-animal bond. For more information about the Human-Animal Bond Certification, please visit NAVC.com/HAB. The North American Veterinary Community (NAVC) is a non-profit organization providing world-class professional development to the global veterinary healthcare community. Its largest initiative, VMX, formerly known as the NAVC Conference, hosts more than 17,000 attendees each year. Other offerings include VetFolio, an online CE platform in conjunction with AAHA; the NAVC Institute; the Veterinary Innovation Council; an Industry Services Division, an online news and lifestyle channel Spark! and its official journals: Today's Veterinary Business, Today's Veterinary Nurse, Today's Veterinary Practice and Veterinary Advantage. Visit NAVC.com for more details. 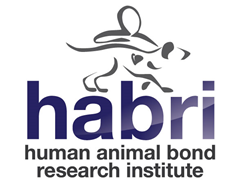 The Human Animal Bond Research Institute (HABRI) is a not-for-profit organization that maintains the world's largest online library of human-animal bond research and information; funds innovative research projects to scientifically document the health benefits of companion animals; and informs the public about human-animal bond research and the beneficial role of companion animals in society. For more information about the HABRI Foundation, please visit http://www.habri.org.